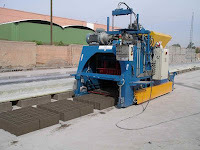 We are the leading supplier of concrete block making machine in Bangladesh and India. 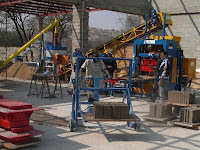 We supply our concrete block making machine from Italy and China. 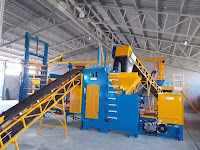 If you have any query regarding concrete block making machine, please contact us for prices, catalogs and other information. 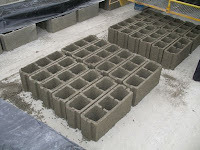 Concrete block making industry is environment friendly and it is a green project. Cost per block is also lower as compared to red clay bricks. Comparison of Red clay bricks industry and concrete block making industry: which is more feasible? Cost per unit About 5 Tk. About 6 Tk. Sale per unit 8-10 Tk. 9-12 Tk. 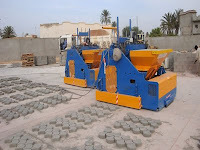 Concrete block making machine requires less area than clay bricks making machine. 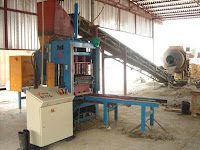 The price of concrete block making machines are cheaper than that of red clay bricks making machinery. 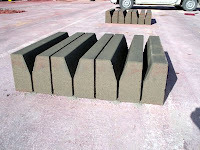 The cost of civil works for concrete block making industry is very small as compared to the cost of civil works for red clay bricks manufacturing industry. 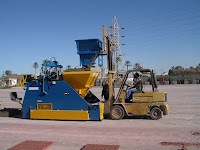 The use of manpower is less for cement bricks making machine. 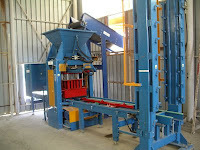 The electricity consumption is very less for cement block making machine. There is no use of coal, gas or wood as fuel in the block making project; so, no air pollution. The profit per sale is almost same. 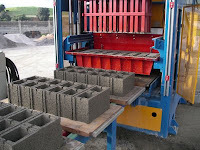 So, there is no doubt, the concrete block making industry is more profitable and feasible than red clay brick making industry. 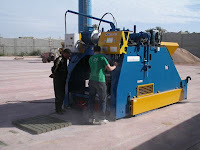 If you are thinking of setting a concrete block making machine, please contact us for details, catalog and price list.